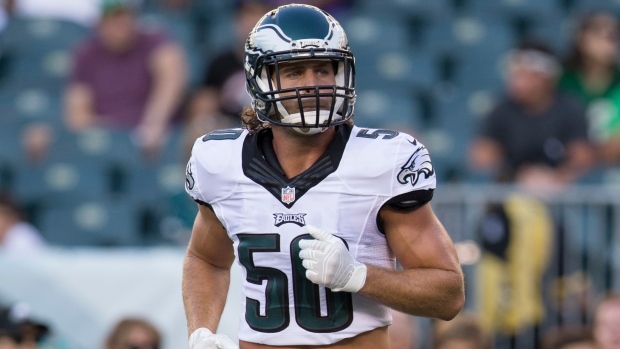 Philadelphia Eagles LB Kiki Alonso had arthroscopic knee surgery this week and is expected to play again this season, according to a report from ESPN. Alonso injured his knee in Week 2 against the Dallas Cowboys but could return as early as a few weeks from now, according to the report. It was originally feared Alonso would miss the whole season with a significant ACL tear, but there is still good stability in the knee, according to the report. The Eagles acquired Alonso, who missed all of last year with a knee injury, in a trade that sent LeSean McCoy to Buffalo.